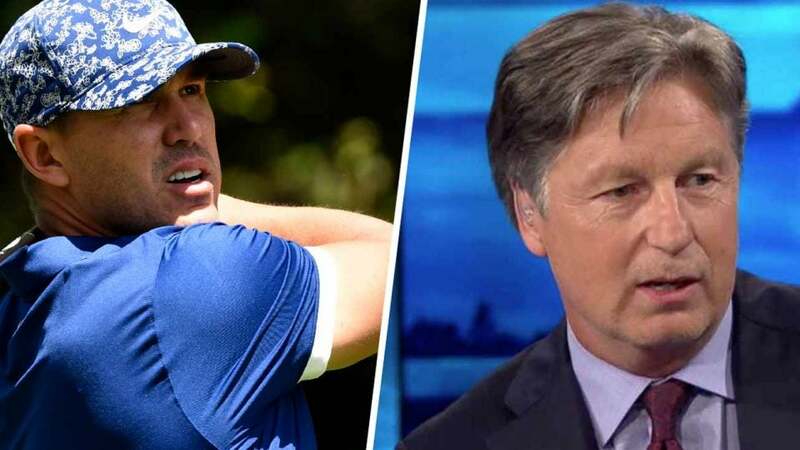 Brandel Chamblee always has interesting takes when it comes to Brooks Koepka. AUGUSTA, Ga. — If Brooks Koepka needs motivation from the media to play well, he can thank Brandel Chamblee for an extra dosage this week. In a tense Golf Channel exchange on Thursday night, Chamblee doubled down on his Koepka skepticism, questioning the toughness of the 2019 Masters first-round leader. That’s where host Rich Lerner jumped in to defend the resume of Koepka, who has won three of his last six majors, including the PGA Championship at Bellerive last year, where he held off Tiger Woods. “You need to be convinced that he’s tough?” Lerner asked. “Hold on a second. The 16th hole at Bellerive, I don’t think you can get any tougher than that, with everybody screaming and hollering for Tiger Woods who’s posting 64. And he stood up at a major championship on Sunday and just striped a four iron 240-some yards to make a two! But Chamblee was prepped with an answer, as he always is, even as David Duval and Frank Nobilo looked on incredulously from across the “Live From” set. “So here you go,” Chamblee said of Koepka. “He won at Erin Hills. Thirty players at Erin Hills hit 45 fairways. Three hit 51 out of 56. At Merion [in 2013], only one player hit 45 fairways. He won at Shinnecock. Twenty players hit 45 fairways. At Olympic [in 2012], the most fairways anybody hit was 29. My point is, the fairways were very wide, and it’s a perfect scenario for somebody who is a behemoth off the tee to run amok and to just dominate. It’s not the first time this week that Chamblee has questioned Koepka. On Tuesday, Chamblee ripped the two-time defending U.S. Open Champ for cutting weight for a reported upcoming photo shoot. “For him to change his body, and his body chemistry, for vanity reasons, for a vanity shoot, is the most reckless self-sabotage that I have ever seen of an athlete in his prime,” Chamblee said. After Thursday’s first round, Koepka responded. “Well, I lift all the time. I lift too many weights, and I’m too big to play golf,” he said, mimicking media members. “And then when I lose weight, I’m too small. So, I don’t know. I don’t know what to say. I’m too big and I’m too small. Brandel Chamblee thinks Brooks Koepka's toughness still needs proving. Koepka and Bryson DeChambeau hold the lead at Augusta National after matching first rounds of six-under 66. 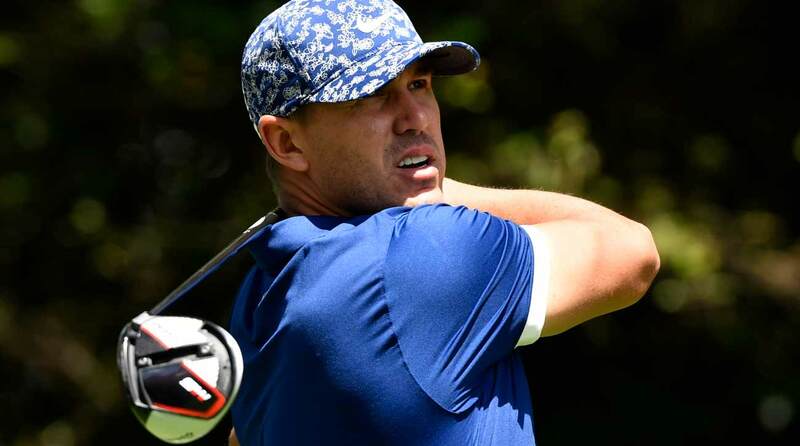 Koepka begins his soggy second round at 11:04 a.m. Friday.